I could spend hours (I actually do) browsing new decorating trends and gathering ideas for my own home. Even though I now live in a small retirement apartment, it doesn't mean I have stopped changing things up. I may not be able to move around heavy furniture the way I used to, but there are still so many things I can do. While browsing, I came across a style that is being called the raw look. To me it just says rustic, but I guess that is the idea. The raw look is just a new spin. The idea seems to be that walls and ceilings are stripped down to their original materials giving the room an old world rustic vibe. I love the look of this bedroom. The walls have been stripped down to expose the original brick, stone, and wood beams. The furniture has been kept very minimal, which allows the walls to be the stars of the room. The great thing about this look is that you no longer have to feel bad if you only get the job of repairing old walls half finished. Well I guess I've done all of the drooling I can do for one day. For antique and vintage goods for your home shop 415 Maxwell. More items are being added. It may not be for everyone...but I LOVE it! 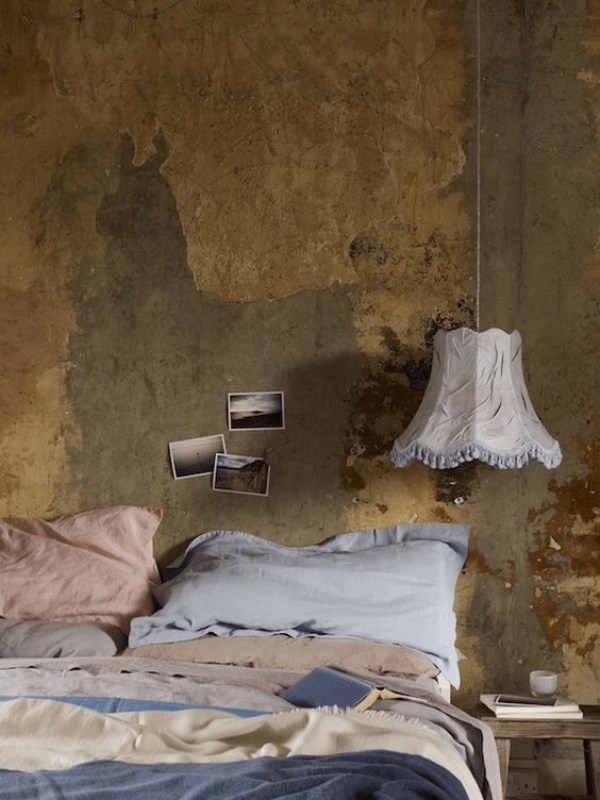 I love that bedroom and I could live in some of these rooms for sure!!! This reminds me of all the wonderful old homes/cottages we saw in England. I love it. This is so cool. 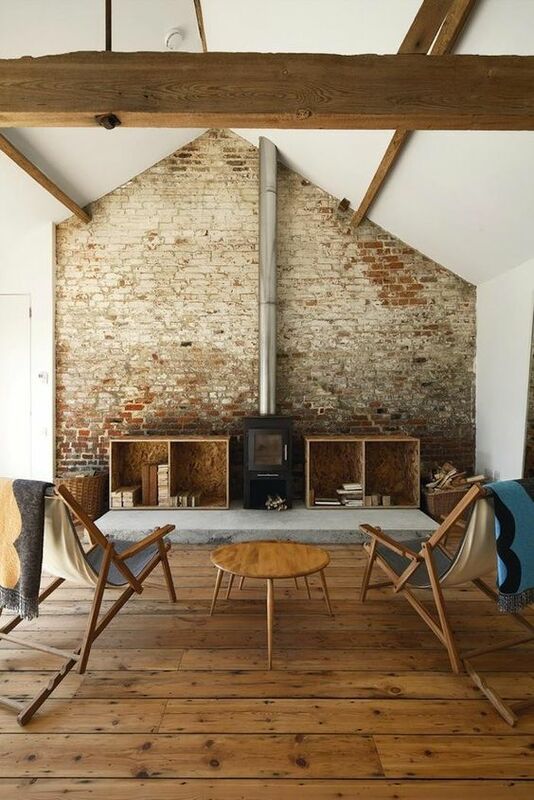 I love exposed brick or stone anything! This is what I would imagine having in a French cottage. Just beautiful. I love the "raw" look too. My cottage home is all brick on the outside and I wish it had some brick walls on the inside. I love that look. 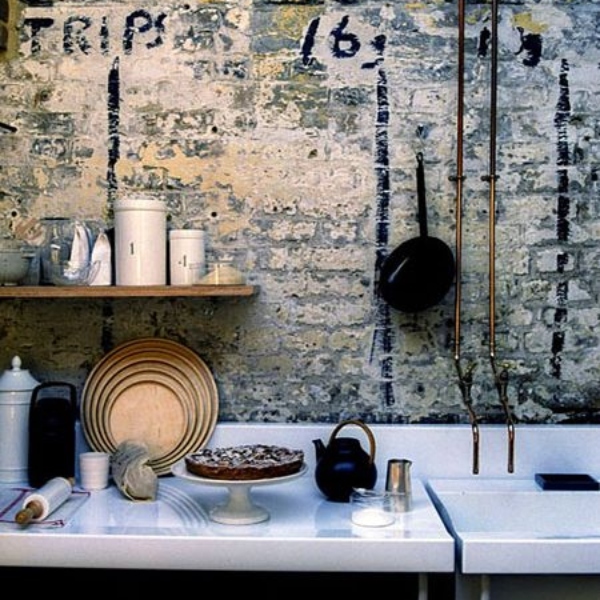 I want to try and get that look for my kitchen walls. Thanks for the inspiration. I'm with Kris, I love exposed brick. 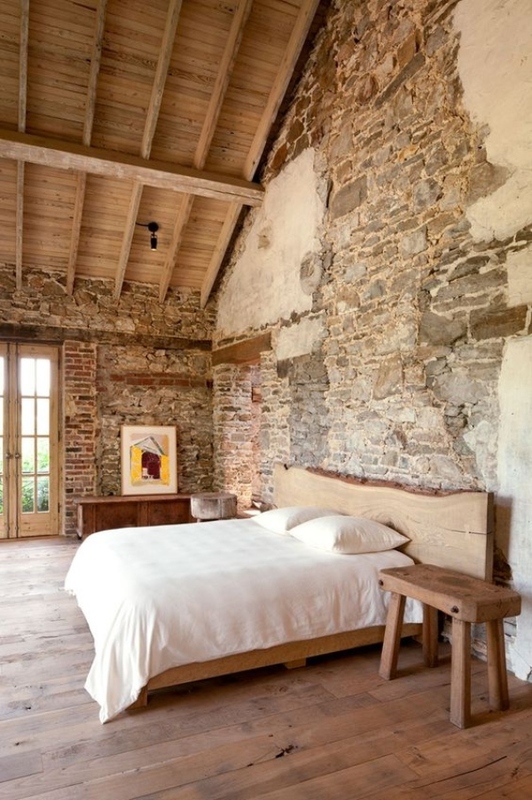 These rustic walls are all amazing. It reminds me of old places in Italy. I love the old stone and exposed brick!